James is one of 3 Plumb Bros directors. He has 15 years of plumbing experience combined with 8 years of business and management experience. 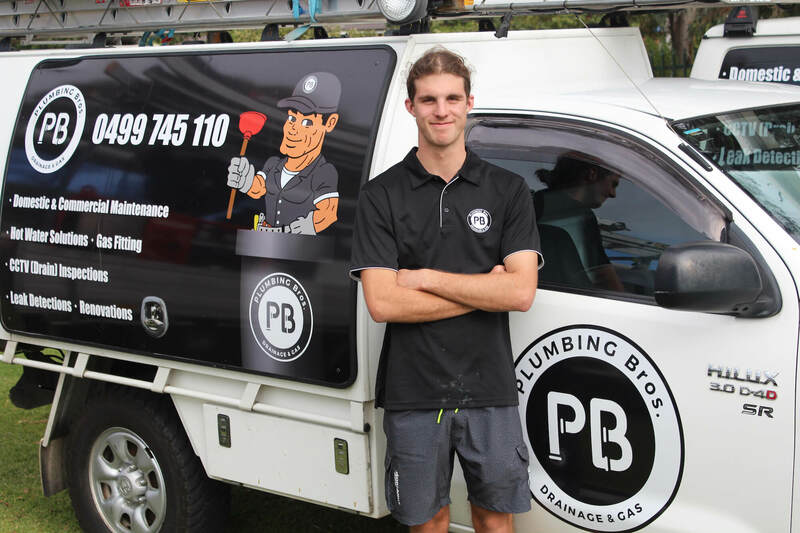 James was born & bred in Melbourne where he ran a plumbing & electrical business for 5 years. Here he experienced many highs but just as many lows. This experience however is the key ingredient to ensuring Plumb Bros exceed. James is extremely passionate in business & marketing and even has a secondary business that specialises in coaching & business development for tradesmen (Trade CBD). Joe is one of the 3 Plumb Bros directors. He has 8 years of plumbing experience. 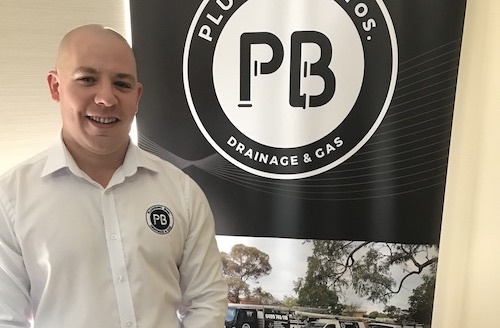 Joe has a passion for teaching and uses this to ensure all Plumb Bros team members are constantly at the top of their game. 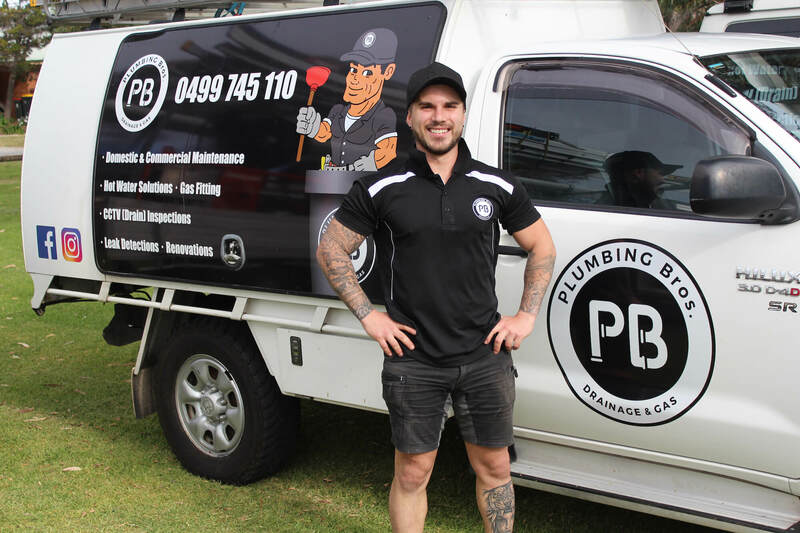 Joe’s aim is to produce a hard-working team that become the leaders of plumbing and gas works in Australia. Everyone who knows and deals with Joe regularly will always tell you about his down to earth and friendly nature, this is a critical trait when it comes to delivering high-quality customer service. If you can’t find Joe in the Plumb Bros offices, the chances are you will find him in the gym as his second passion is keeping fit & healthy. Joe is also a West coast Eagles supporter and has not stopped celebrating their 2018 premiership. Jos is one of 3 Plumb Bros directors. He has 14 years plumbing experience. Jos is the jack-of-all-trades and the ultimate plumber. 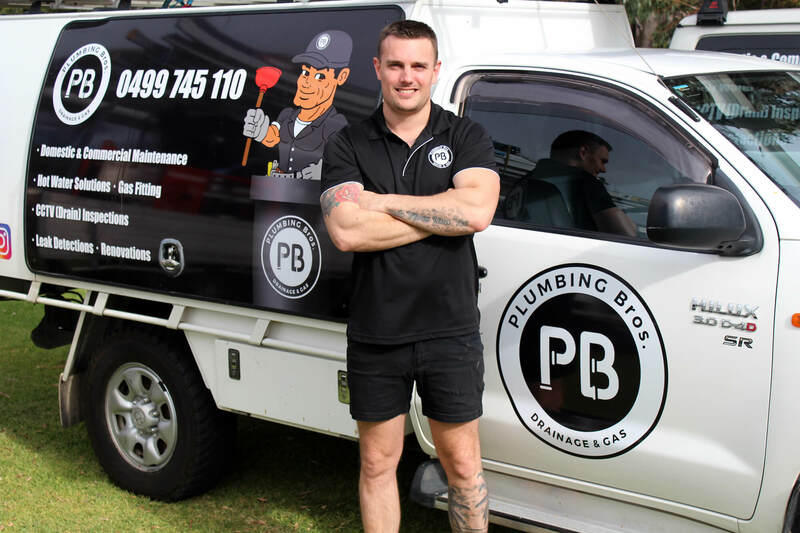 He is regularly referred to as ‘Perth’s best plumber’. Jos was introduced to tools and plumbing from a very early age, accompanying his old man to work in an engineering and toolmaking factory from the age of 5. 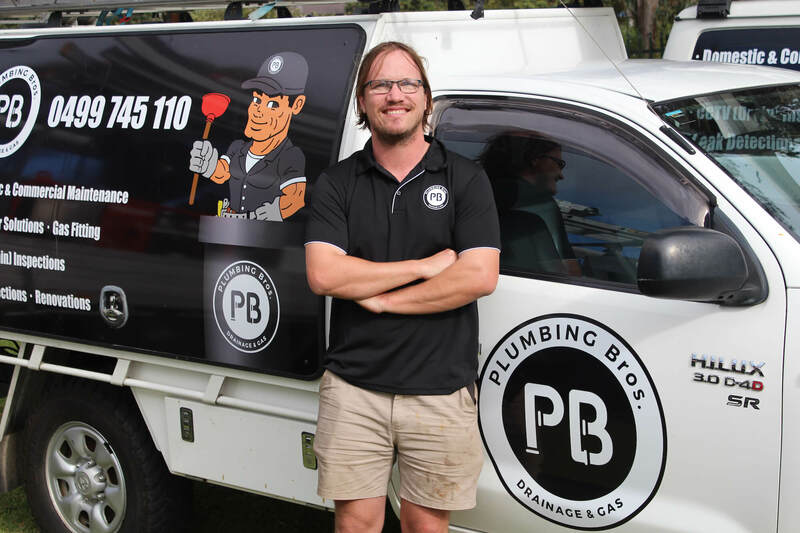 You will find Jos motoring up and down the Mitchell Freeway in the unmissable Plumb Bros truck, the ultimate plumbing machine. Jos is a devoted father of 3 beautiful children and outside of work spends all his time with the little ones and his fiancé Amie. Brittany is 23 years old and is the heart & soul of Plumb Bros. Brittany has been a Plumb Bro for 1 year now after she was previously in the banking industry for 5 years. Brittany has an identical twin sister who she regularly substitutes in to work for her when she is hung-over or otherwise engaged. 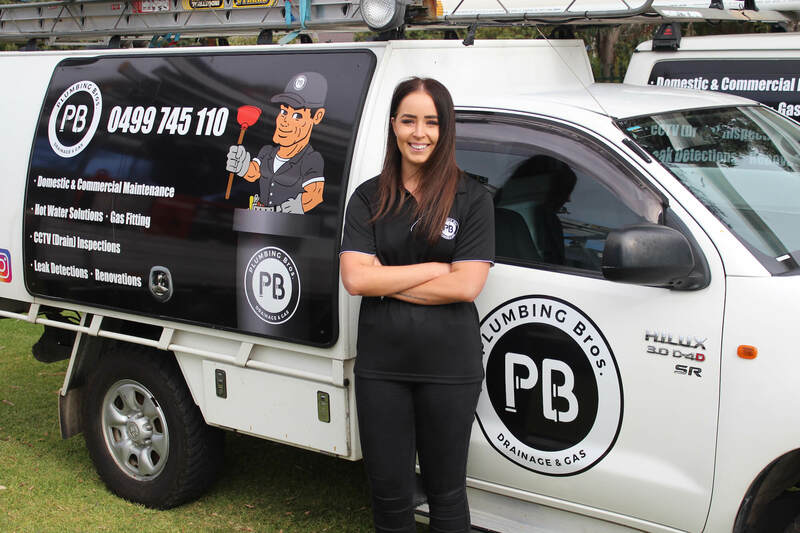 Brittany is a true company woman and without her Plumb Bros would not be the same. She constantly juggles enough workflow that would require 3 separate employees to replace. If Brittany is ever away from the office for a couple of days, you will find her on a plane travelling the world. Omar is 26 years old and has 5 years of plumbing experience. 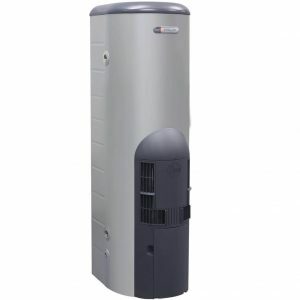 Omar is a specialist in domestic maintenance, drain repairs and gas installations. He loves knowing that he can sufficiently solve all Plumb Bros client’s issues. Omar constantly has the most notably clean vehicle in the company and his preparation for work is second to none. During his free time, you can find Omar walking out of Fremantle football games at half time after a disappointing loss. Rhet is the Plumbing Bros BDM. He has been labelled as ‘Perth’s best salesman’. A tag like this doesn’t come without years of hard work and experience, but more importantly, results. Rhet is 37 years old and has a gorgeous family including 2 young kids and a wife. Team culture, success and service gets Rhet out of bed in the mornings. If you have been ‘pestered’ recently by a Plumb Bro trying to win all your plumbing work, this was most likely Rhet. 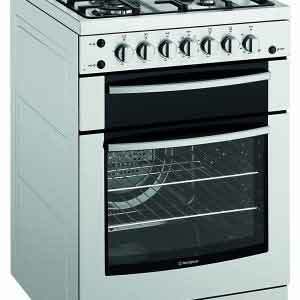 But if it was Rhet, you are also more than likely now utilising our 5-star service, because that’s what he does! Rhet continuously loses a footy tip each week as he unsuccessfully backs in his beloved Blues. Cooper is an original Plumb Bro. Whilst no one would realise it, Cooper is still in only the third year of his apprenticeship yet could ‘out-plumb’ most of Western Australia. Being a PB original, Cooper has learnt to work at an extremely high standard and is extremely confident in any jobs that are sent his way. 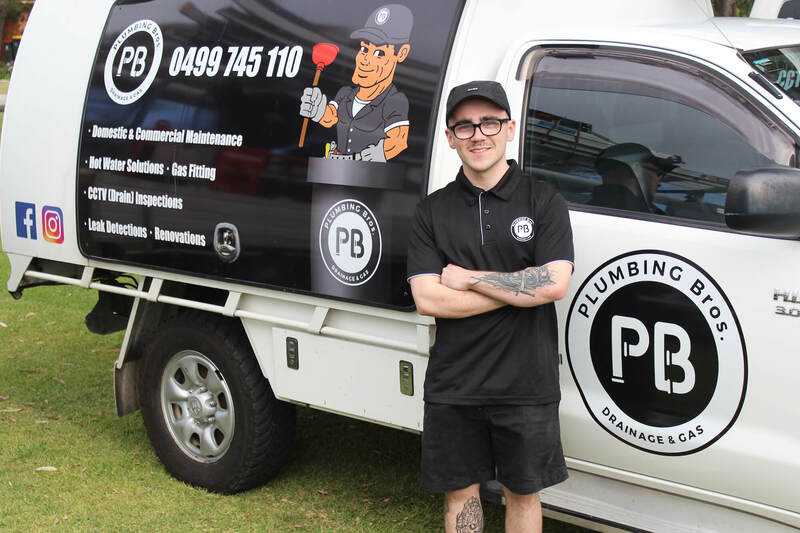 Cooper has a passion for learning and plans to one day be one the Perth’s best plumbers. Chandler is a self-confessed ‘top geeza’ which says enough about him to form you own opinion. Chandler is a much-loved team member and brings great morale to the group. 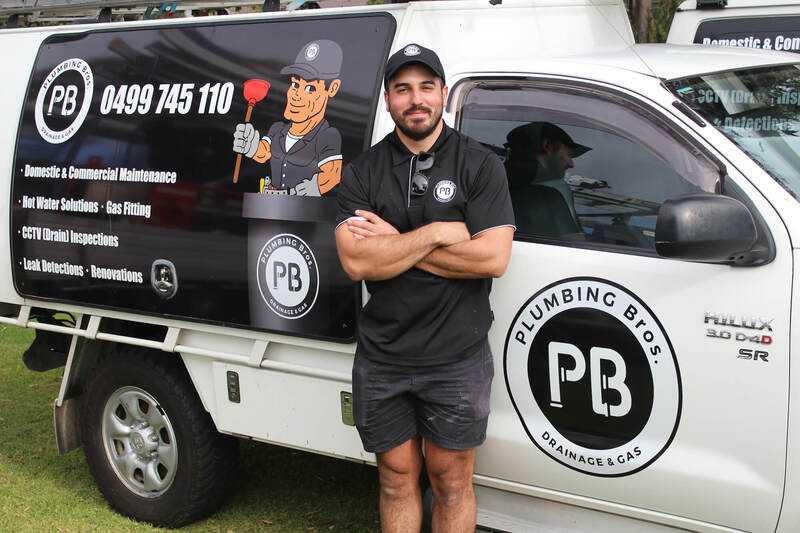 He has worked for various plumbing companies in Perth, however, makes mention that Plumbing Bros structure and processes are second to none. Chandler is motivated by delivering first-class customer service. Outside of work you can find him fishing, four-wheel driving and camping with the ‘fellas’. Lee is 19 years old and the newest addition to the Plumb Bros apprenticeship ranks. Lee earnt his way towards an apprenticeship through providing over 2-years of work experience availability, holding him in good stead to becoming a fantastic plumber. That kind of devotion is hallmark amongst PB team members. In his spare time Lee is dedicated to the world of martial arts and has an upcoming MMA bout in Melbourne. Riley is a fresh-faced 18-year-old and has just entered the second year of his apprenticeship. 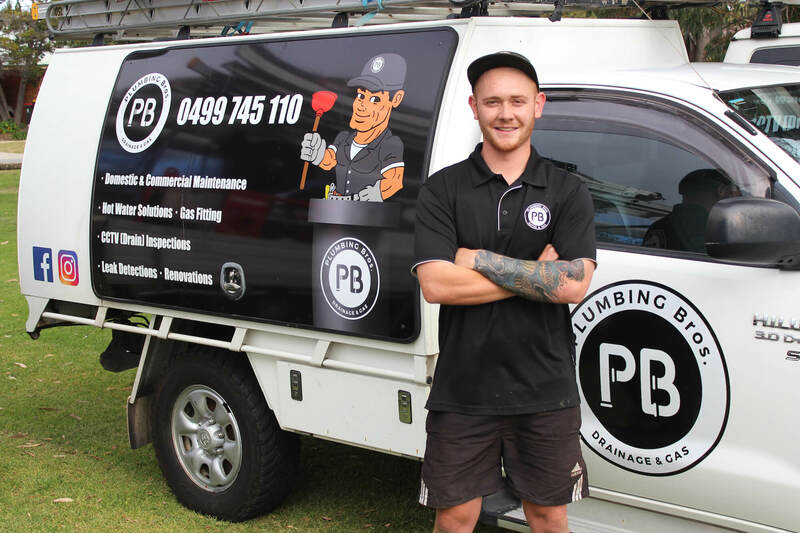 After completing his entire first-year with Jos Weston, Riley is destined for plumbing success. Riley enjoys the diversity of jobs in which Plumb Bros encounters and obtains great satisfaction from being able to problems solve a wide variety of missions. In his spare time, you will find Riley catching some waves at Trigg Beach. You may have also seen Riley collecting footballs behind the goals at an eagles game. 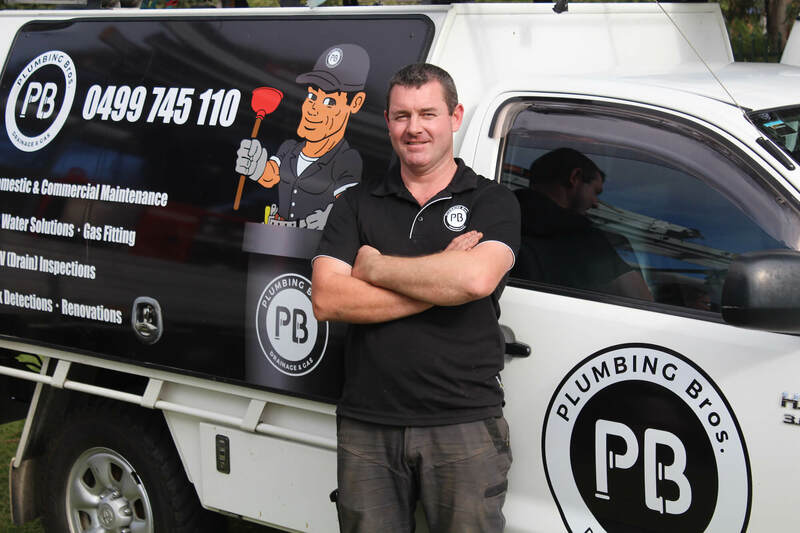 Phil is one of Plumb Bros longest serving and most experienced plumbers. He is 27 years old and has over 10 years of plumbing experience. This is made up of 5 years commercial, 2 years in new homes, 1 year in civil and now 2+ years in domestic maintenance and renovations. 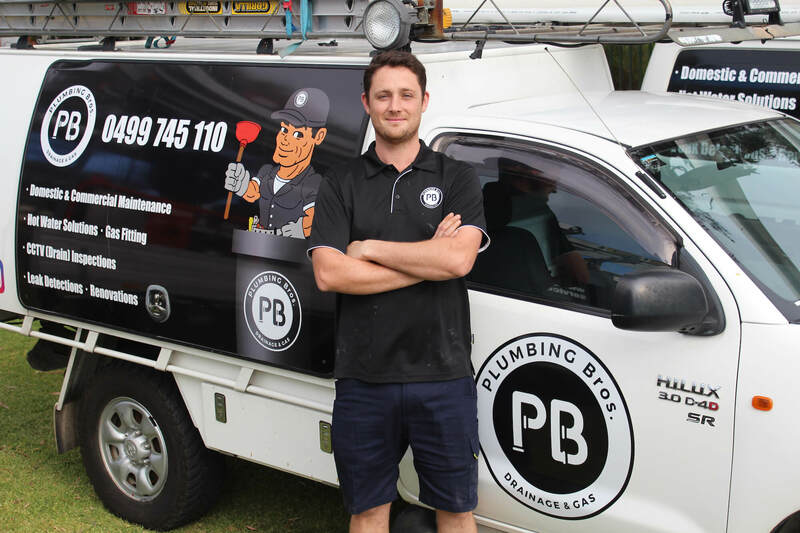 Phil enjoys helping people with their plumbing emergencies and is an extremely good communicator with clients. In his spare time, you will find Phil at the bottom of the ocean enjoying his passion for Scuba Diving. Liam is 26 years old and has 7 years of expertise. 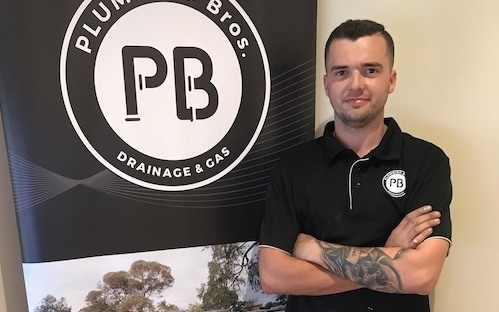 Liam is one of Plumb Bros newest additions after being a target team member for some time. Liam is a high-rise wizard and his most notable project was working on the Hilton Hotel in Northbridge. Liam enjoys testing himself and trying new tasks and is satisfied even further when it all comes together as a completed operation. In his spare time, you can find Liam of the golf course or heading out to his farm. Stuart is 28-year-old and has over 10 years of industry experience. 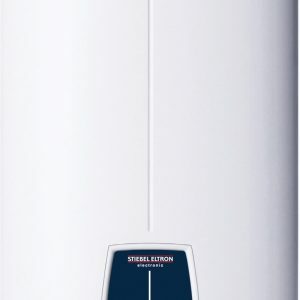 Stuart has a vast array of experience in all fields of plumbing working on notable projects such as the National Trust Heritage restoration project and a modular hotel project. Stuart loves the challenges that each day throws at him throughout his various specialties. 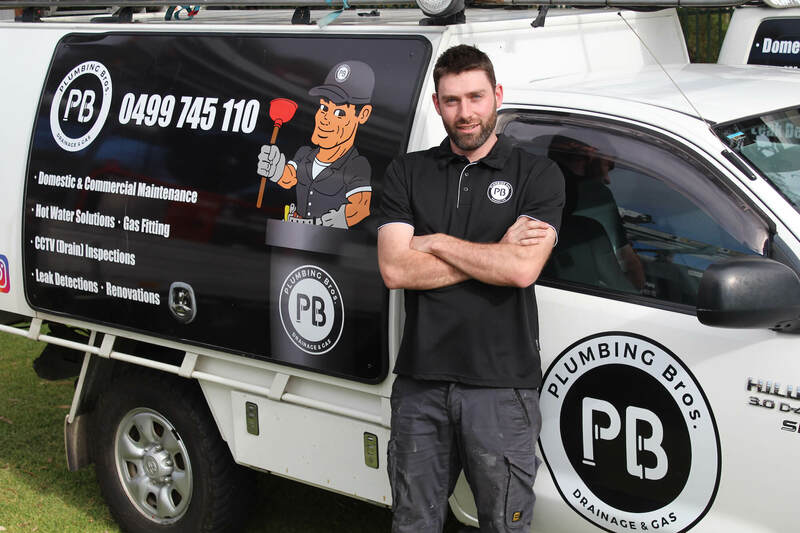 Stuart is also one of 2 Plumb Bros sewer jetting specialists. Outside of Plumb Bros you can find Stuart hitting up the ice hockey arena. He is also an avid lover of live music and passive house designer. Paddy is 41 years old and has 23 years of plumbing experience. 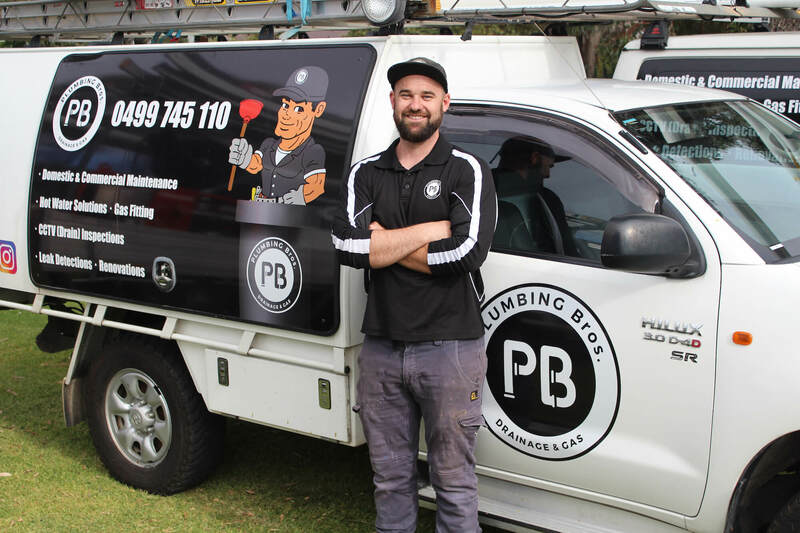 Hailing from Ireland, Paddy has inserted his professionalism and experience into the Australian Plumbing landscape. Paddy is a customer service king and completes all projects to the satisfaction of the client. Paddy enjoys the different variety of works encountered each day at Plumb Bros, where one day he is servicing a tap and the next is decommissioning sceptic tanks. In his spare time, Paddy loves to catch up on the Gaelic football from back home whilst trying to learn the ins-and outs of his adopted countries national game.